When you Google for things to do in Paris France, you’ll see images with bright colors and blue skies. Sailing on the Seine River, walking tours of Montmartre, a treasure hunt in Luxembourg Gardens or Paris by bike. But what to do in Paris when it rains? Nobody wants to book a trip to Paris in the rain but unfortunately, this may happen. Actually, you can have many days of nonstop, heavy rain in Paris, especially in Paris in winter. 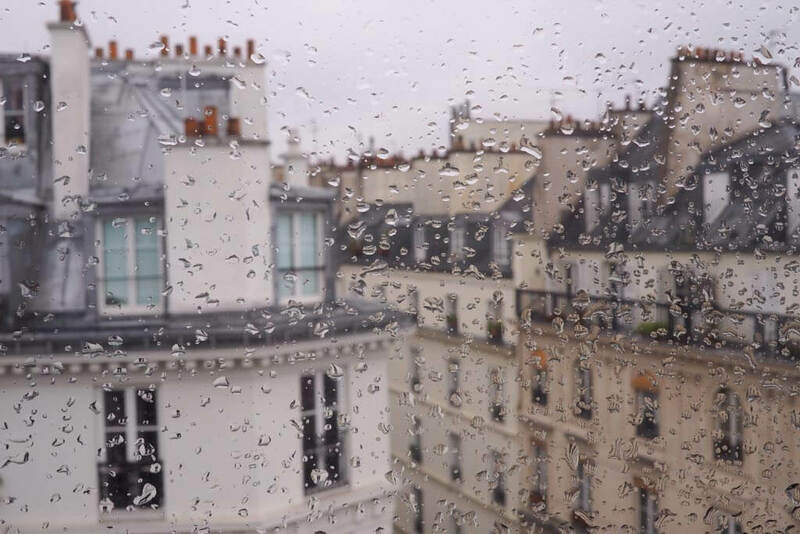 Here are some fun things to do in Paris to entertain you during a rainy day in Paris. Paris really is a tale of two cities. There is the City of Light, above ground, with must sights like the Eiffel Tower or the Louvre Museum. This is the city that the world sees and loves. But there is also an underground Paris with at least 130 kilometers of abandoned tunnels and secret places running below the streets. 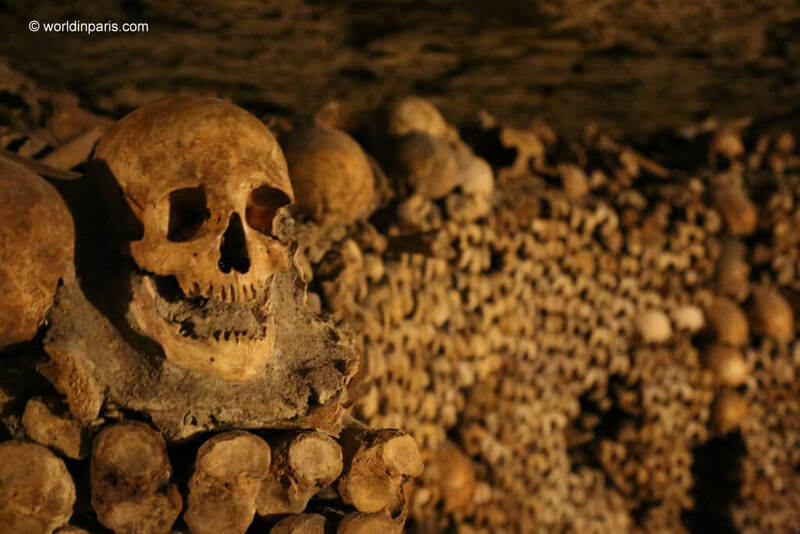 The Paris Catacombs are the most popular attraction below the ground but there are other interesting underground sights like the Paris Sewer Museum or some parts of Canal Saint-Martin. A rainy day in Paris may be the perfect excuse to visit some of the most beautiful covered walkways of Paris. By the end of the XVIII century, town planners in Paris created a labyrinth of commercial covered walkways across the city with beautiful glass ceilings, mosaic works, and iron latticework, all bathed in natural light. 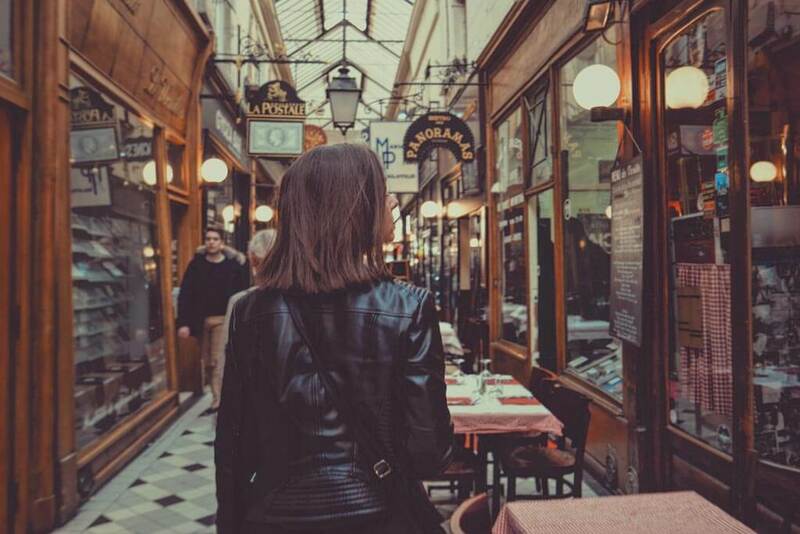 The covered passages of Paris had a dominating merchant role, but they were also the new bourgeois’ favorite stroll, the place to show up and socialize. 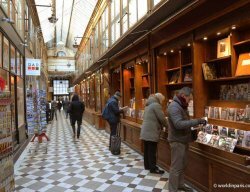 Restored to its former glory, the covered walkways of Paris are today real Art Nouveau / Neoclassical architectural gems and if you know where to look you will find delightful ancient boutiques, cute cafes and other curiosity shops. There is no better place in the world to drink French wine than in France. Learn about the French wine regions through a wine tasting and an informative master wine class. An expert sommelier will lead you through a tasting of exceptional wines, coming from different corners of the country, and selected to ensure a full and unique tasting experience. 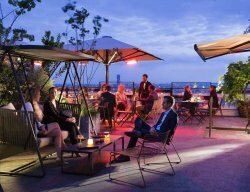 If you prefer a more casual afternoon, go to a fancy bar or restaurant and just start drinking! 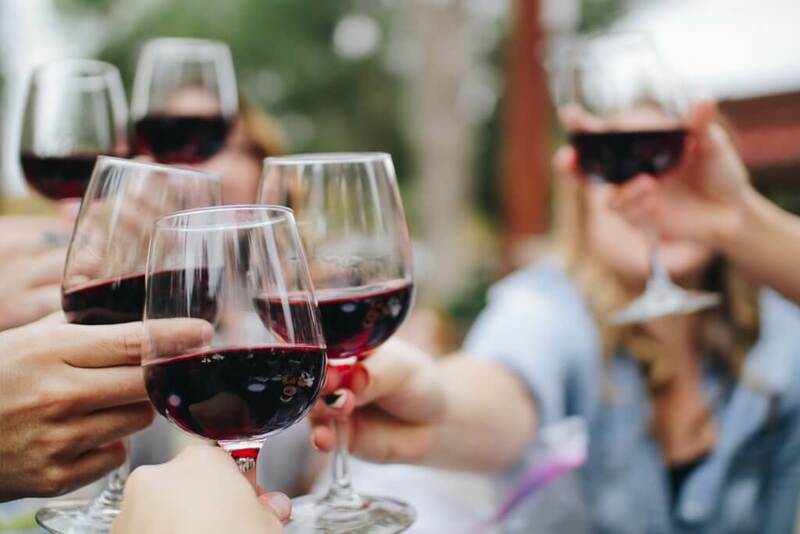 If you know already that you will end up buying your favorite findings, click here for our guide to the best wine tote bags and wine suitcases specially designed for travel. The good thing about pools is that you can even swim while it’s raining. Plus swimming is a very healthy exercise! This time, however, we are talking about indoor things to do in Paris and the most extraordinary indoor pools in the city, with a stunning Art Déco architecture. 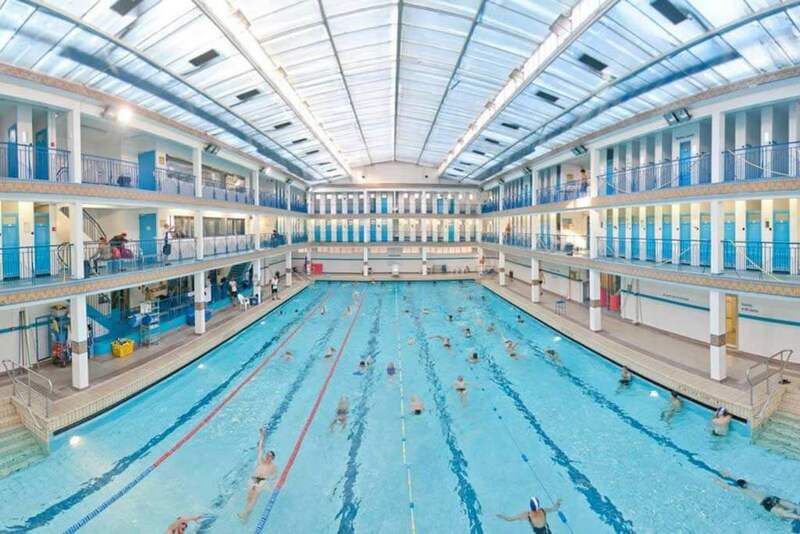 Our favorite Art Déco pools in Paris are Piscine Molitor’s winter basin (1929) in Paris 16, Piscine Pontoise (1933) in Paris 5, and Piscine Pailleron (1933) in Paris 19. 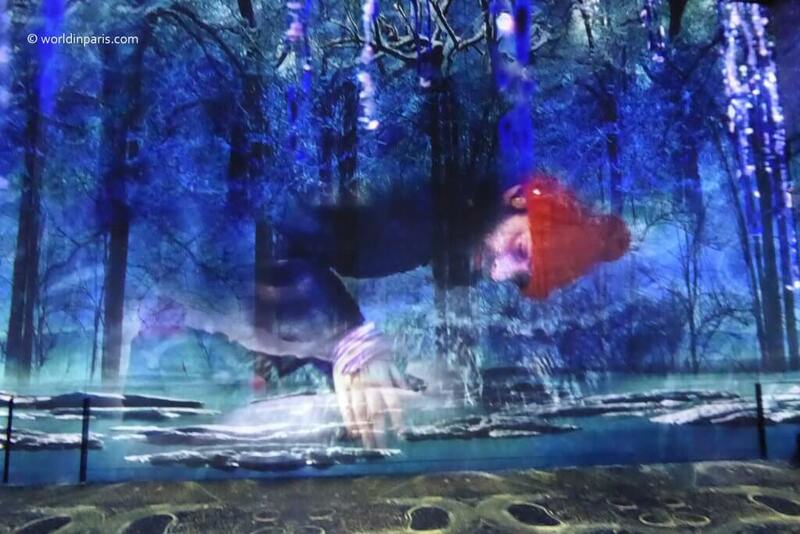 L’Atélier des Lumières, in Paris 11, is the first center of Digital Art in Paris, proposing unique immersive art exhibitions for all. In Immersive Art exhibitions, the spectator becomes part of the artwork, walking literally inside an artwork or interacting with it. Usually, Immersive Art experiences are mind-blowing experiences which involve different media, like sound, images or scents. A rainy day in Paris can be the perfect excuse for a unique and mind-blowing experience at Atélier des Lumières. 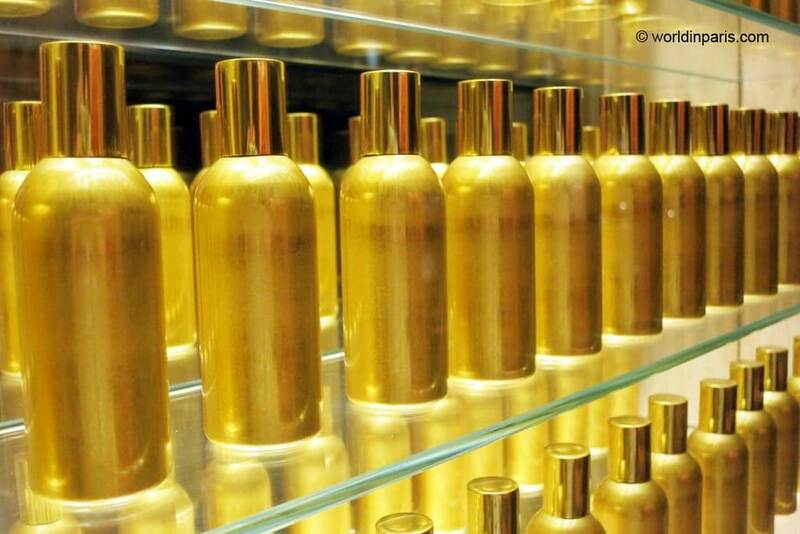 Discover the world of perfumes, and create your own fragrance! 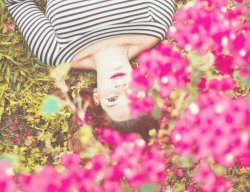 Learn the basics of perfume making and create your new, personal fragrance with this fun perfume workshop. Play with the scents with the help of a knowledgeable maître parfumeur, in a small group to ensure a memorable experience. Later, if it keeps on raining forever and ever, you can complete your perfume experience with a (free) visit to the Fragonard Perfume Museum. During the 20 minutes guided tour, discover the history of perfume since the first civilizations and Fragonard’s “savoir-faire” as maîtres parfumeurs. Cabarets in Paris are a fun and entertaining part of Paris Nightlife, whatever the weather. Cabaret shows usually include crazy can-can girls (our favorite part) but also singing, dancing and juggling. Most of the cabarets also come with the dinner option or a glass of champagne so you are covered for the full night. From Moulin Rouge or Lido to Paradis Latin Cabaret Show, find your favorite Cabaret in Paris in this Paris Cabarets Quick Guide. Embrace the rain, get wet! You can still have a good time in Paris, regardless of the rain. Take your coat and books and enjoy the rain, get wet. A walk along the Seine banks on a fresh day can bring the color to your cheeks and you can always reward yourself with a coffee or hot chocolate in a Parisian cafe. Also, rain comes with many interesting and creative photo opportunities like puddle reflections or tiny reflections within the droplets. If you are a photography lover, you are going to enjoy when it is rainy in Paris. 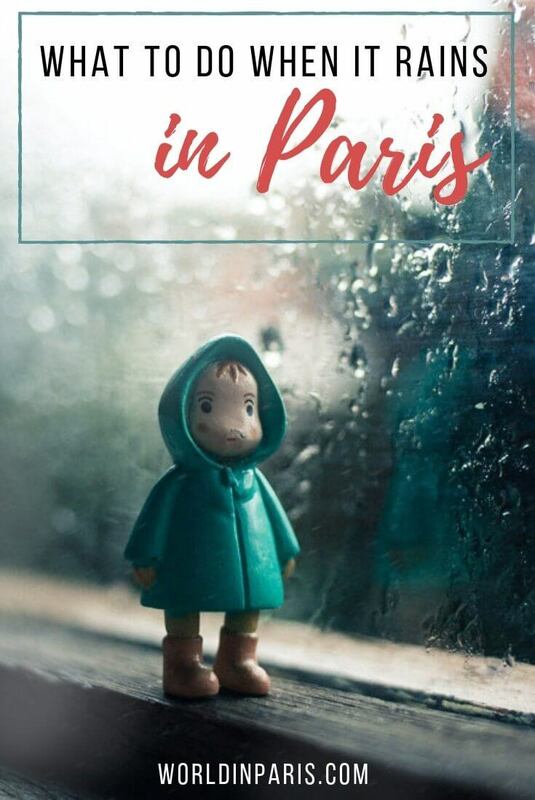 We are sure you will have a good time in Paris, regardless of the rain. 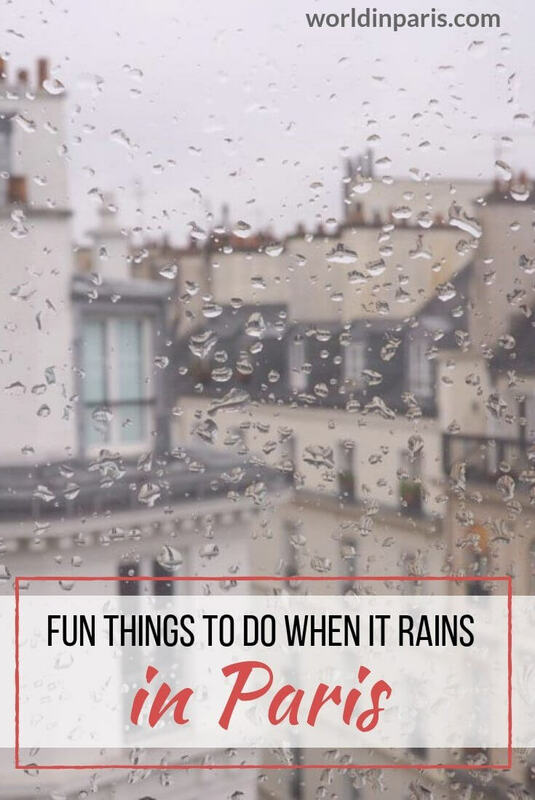 Now you have a nice list of fun things to do in Paris on a rainy day, which one are you excited to try in Paris when it rains? Sitting in the middle of Australian summer right now, on a rural property, we could do with the rain! Lol so send some our way 😀 I usually enjoy museums on a rainy day when I’m traveling, and Paris does have some great ones! Though I do love the idea of a steamy Hammam at Mosquée de Paris. Or enjoying a good glass of wine in a restored wine warehouse. 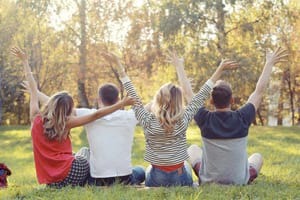 Thanks for these ideas – proves that you don’t have to have great weather to have a fabulous time! Paris is high on our list and we want to explore it in offseason. So, guess winters is going to be the apt time for us. 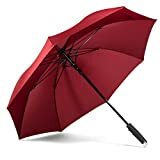 I am sure rain in winters will be adding some more charm and now we have a huge list of things to do too. Awesome!! Gonna bookmark it. What a handy list! We were actually in Paris this past December and sure enough it was raining! We still managed to have a great time and even did a few of the things on this list – wandered through the Louvre, toured the Paris sewer museum, and admired the Water Lillies at l’Orangerie. We weren’t able to make it to Angelina’s for hot chocolate though. Is it really as good as everyone says?! We used several posts from your site to help plan our last trip to Paris (thanks! ), but somehow I missed this article. I’ll make sure I remember it for next time in case the weather chooses not to cooperate! I’m one of those who believe Paris can be very romantic also with the rain, but you’re right, you can’t go sightseeing when the weather is horrible! I think I’d definitely love the hot chocolate alternative at Angelina’s! On a rainy day, Museums are my best options. There is nothing to distract you as you spend time with the past. But I never thought of going to Hammam or a spa on a rainy day – that is also a perfect option. Opera also sounds like a good idea. So many indoor things to do in Paris. I mean it could be a perfect rainy-days vacation and one would still not be bored 🙂 For me it is quite difficult to choose what I like most. I would probably start with the VR session because it did not exist when I went there last!